In this affordable easy-to-use resource, Bill Huebsch offers six complete sessions on the corporal and spiritual works of mercy for individual and small group use. Ideal for Youth Ministry, RCIA, Small Christian Communities, Families, and Individuals who want to grow in living with mercy. 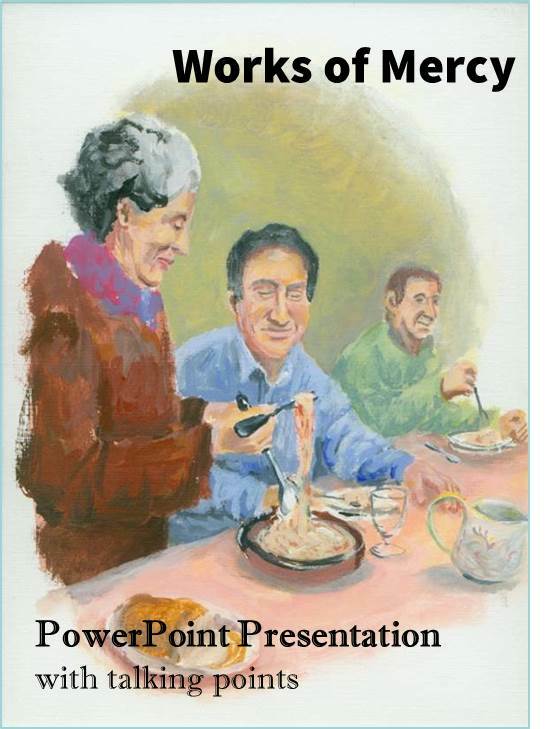 This terrific PowerPoint presentation follows the order of Be Merciful and provides both excellent content plus talking points to help you teach about the Works of Mercy in groups from junior high to youth ministry, from RCIA to adult formation. Best of all, it’s FREE with your order of 50 or more copies of the booklet!